​​ ​Hi! I am Marina Zats, Feel-Your-Best Coach. 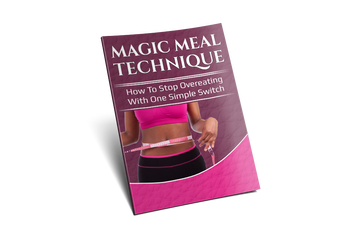 I would like to send you my proven and tested "Magic Meal Technique" ​to discover why you overeat as a thank you for visiting my site. Deprivation diets do not work! If you tried any of the “hot new” diets or other quick fix solutions in the past; you’ve probably noticed that you do lose some weight in the short term. But then you gained the weight you had, or even more, right back. Studies show that 98% (!!) of people who lose weight on a diet, gain it back within 6 months! Because most of the programs do not provide lifestyle changes that last. So you end up gaining back all the weight you lost. and from the experience of working with different clients, that long lasting results only come from making small healthy changes to your lifestyle. So if you starve yourself, deprive yourself of nutrients, over stress your body with hard workouts, you may see some results in the short term, but it does not last. This technique is called Magic Meal Technique. Try it at your next meal, and notice a major change in how much you eat! If you are tired of yo-yo diets and want to lose the excess fat once and for all and get the energy and wellbeing you so deserve, contact me for a free consultation. During the call, we will find out how this method will work for you and you’ll experience at least a few major “AHA” moments that you take away with you, regardless of your decision to join my program or try and figure it out yourself. What if the program does not work for me? If you follow it step by step, just as I and many others did, you will get results. By making small, manageable changes, you will succeed in reaching your goals and not feel overwhelmed or stressed. My motto is Proceed as if Success is Inevitable!